This is some of the most mind-blowing artwork of future cityscapes we've ever beheld. 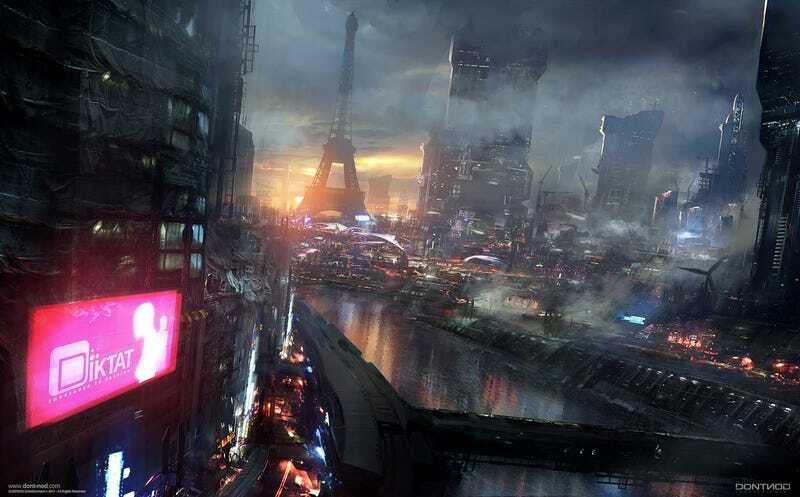 French artist Paul Chadeisson created these amazing images for the video game Remember Me, previously known as Adrift. It's a polluted, dirty, neon-soaked metropolis, full of corruption, hot latex outfits and flying vehicles. And we want to go there now.